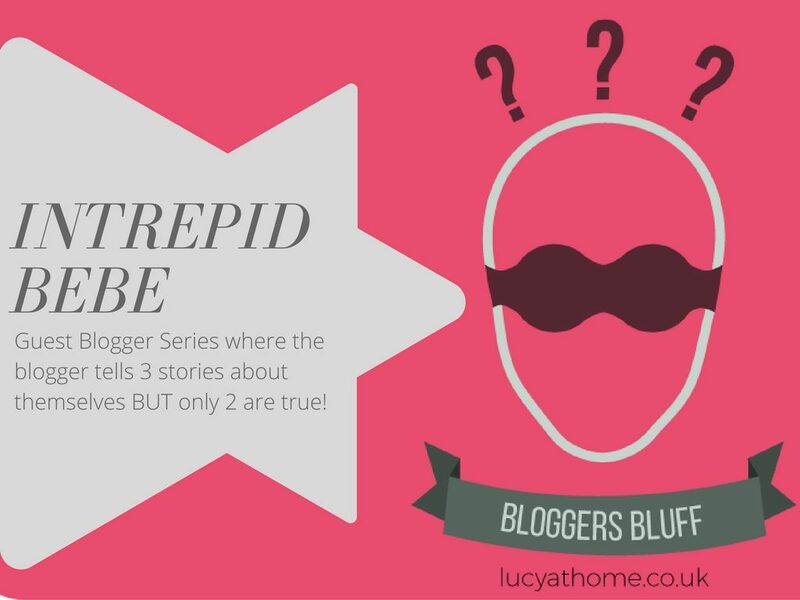 Bloggers Bluff is a guest post game for bloggers and this week we’re featuring Jo from Intrepid Bebe. The Rules: Our blogger of the week will tell us three unusual stories about themselves. Two will be true. One will be completely made up! I can’t believe Jo’s blog is only a few months old – she already seems like such a pro (plus she has one the most adorable photos I’ve ever seen on her “about” page!) Jo and her hubby somehow managed to move from Australia to the UK with a 15 month old in tow (AND survived!) so if anyone knows about travelling with a little one, it’s her! 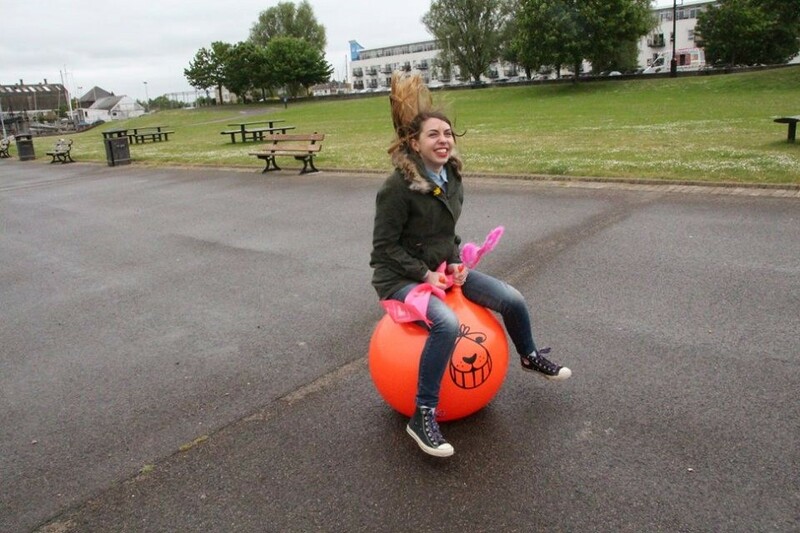 And just for a bit of extra value (and to prove that her story about bouncing on a space hopper was true), here’s the photographic evidence!!! Okay, so as I said, this week we’re joined by Jo from Intrepid Bebe. 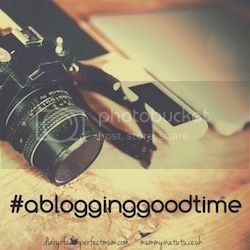 How long have you been blogging, Jo? I started blogging just two months ago. The amount of lovely people I have met and interesting stories I have read. And the experience of writing, it’s given me confidence, focus, stopped me feeling lonely and frustrated. I absolutely love it. A mixture of Motherhood, Travel, day to day life, and my journey of trying to live more slowly and intentionally. 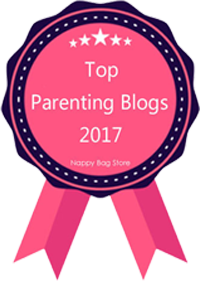 Plus lots of insights on traveling with young children and posts from our International adventures. Just do it! People often talk about being a blogging “success” but by starting up a blog you are a successful blogger! My childhood home was often used as a film set. It was pretty fun getting our dinner from the crew catering truck and meeting a few “Celebs”. One Ad required the house to be filled with hundreds of drumming Duracell Bunnies (does anyone else remember them), which were deafening when all drumming in unison! We even got to keep a few! I was told at the twenty week scan that we were expecting a little boy. We got everything prepared-Nursery, Clothes-even had his name picked. And then I gave birth to my Daughter! On the way to Hospital to have my baby, the Ambulance had to slam on the breaks and swerve to avoid hitting a Kangaroo which had jumped into it’s path. My Sister was in the Ambulance with me, and hadn’t ever seen a Kangaroo before so I think she was more excited than scared! So there you have it. Which one is the fib and which two actually happened?! Find out the answer in the next edition of Bloggers Bluff! Why not subscribe (bottom of the page) to my blog so you don’t miss out? I pIck ‘A’ as the untruth, or as we say now in the US, an alternative fact (argh!). Great post and great idea! We played two truths and a lie with my daughters’ friends at her sleepover! Very fun! Haha your comment about the bluff being an “alternative fact” made me giggle AND wince at the same time! Great idea for a post! Jo, I love your blog header! I’m thinking it’s B! Great idea for a blog series! In this case I think the bluff is B.
I’m so glad you like the series. Eeek I hope B is the bluff – this was one thing I was terrified of all the way through my pregnancies! Hehe I know! I’ve never seen a kangaroo either! I think A is the fib!